Anime, like all fiction, is full of tropes. This doesn’t come as a surprise, as storytelling has been around since before the advent of writing. Certain archetypes and motifs proofed to be effective enough that they persisted and developed into recurring devices. Tropes are not a bad thing per se. After all, if our basic needs, desires and flaws had changed dramatically over the past centuries, great storytellers such as Shakespeare, Homer or Cervantes would have lost their significance long ago. As they thankfully didn’t, there does seem to be a timeless nature to certain fictional devices, as there is to human nature. True human nature has not advanced a step beyond the stone age. Every regular consumer of fiction will have tropes they love and those they’re allergic to. Today, I want to look at a trope that I feel is rarely done well: the heroic sacrifice. The heroic sacrifice comes in various forms, used for various purposes. The hero selflessly taking the bullet because he cares more about others than himself, the mentor / best friend / little sister giving their life to provide an agenda or motivation for the protagonist of the thus beginning story, and the redeeming sacrifice, committed by the villain or fallen hero to atone for their crimes and be remembered by the heroes as the one who saved them or the world. I dislike most redeeming sacrifices for a simple reason: They’re lazy. They’re rarely well-written. And, most of all, they’re often used as an easy cop-out, robbing us from what would be much more interesting to see: The fallen character struggling with the consequences of his or her actions, enduring the guilt, working their way through a slow process of making amends and, maybe, earning forgiveness through persistence instead of a quick sacrificial death. Or, in case forgiveness is denied, be forced to learn how to live with the pain, like actual human beings have to do. The selfless sacrifice is equally problematic. While there certainly are a lot people who would sacrifice themselves for their loved ones, some of them even for strangers or an abstract cause, humans and their motivations are messy things which can rarely be compressed down to a nice and clean label such as “purely selfless”. It isn’t as simple as “death”. Everyone wants something in return for their sacrifices, even if it’s “just” recognition, or, in case of the redeemer, forgiveness. When a story chooses to admit this and address the sacrifice trope and its possible fakeness right out in the open, things get a lot more interesting. I will now look at some examples of well-written sacrifices from Puella Magi Madoka Magica, Fate/Zero and Psycho-Pass. There will be spoilers for all of these. Gen Urobuchi, writer of the shows and novels mentioned above, is a fan of deconstructing his characters’ motivations to a point where there is neither good nor bad anymore, just layers of grey and gray. The noble sacrifice is no exception. Both Fate/Zero and Madoka feature not one, but several characters driven by the wish to save others, even at great cost to themselves. 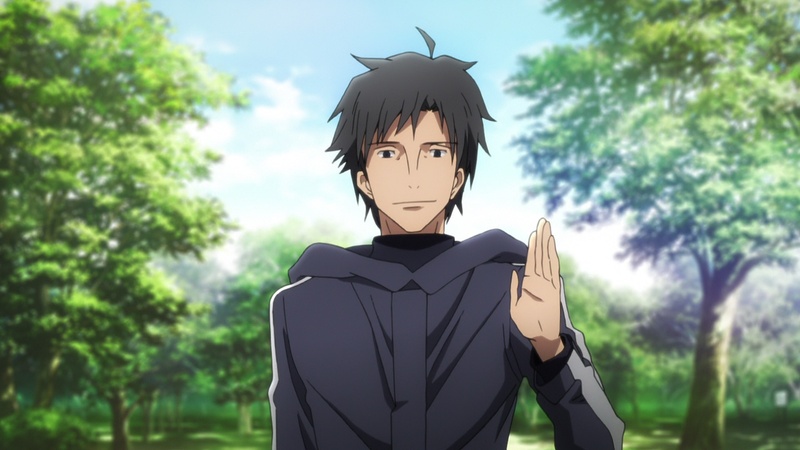 In Fate/Zero, there’s Kariya Matou, a fairly decent bloke caught up in a magical battle royal populated by otherwise mostly sinister, arrogant and psychopathic participants. Kariya, never wanting anything to do with magic and deserting his family for that reason, only signs up last minute to rescue the daughter of his childhood friend who has been chosen as the new family heir in Kariya’s place. In order to gain the means to participate, he has to forfeit his own future and, ultimately, sacrifice himself to save the little girl from, well, let’s just say very nasty torture. Taking her place, his motivations seem selfless to the point of self-abandonment. A shining example for the noble sacrifice. I’ve written about the problematic nature of motive in my previous essay. 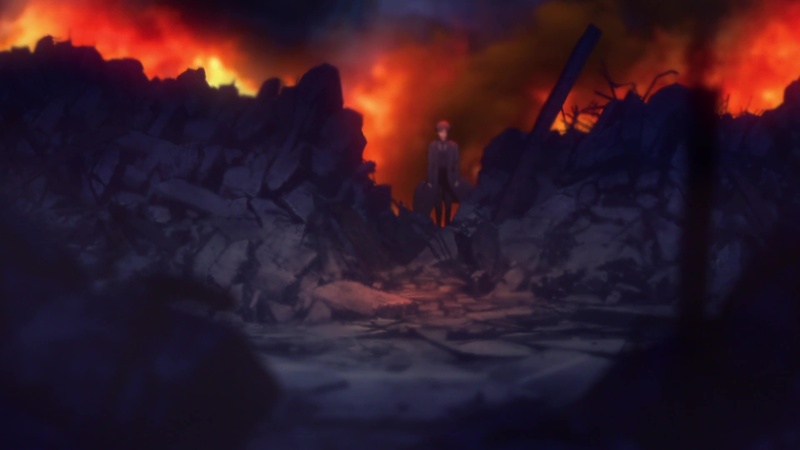 Fate/Zero is full of characters lying to themselves, often bringing about their own destruction because they’re in denial about what it really is they want. 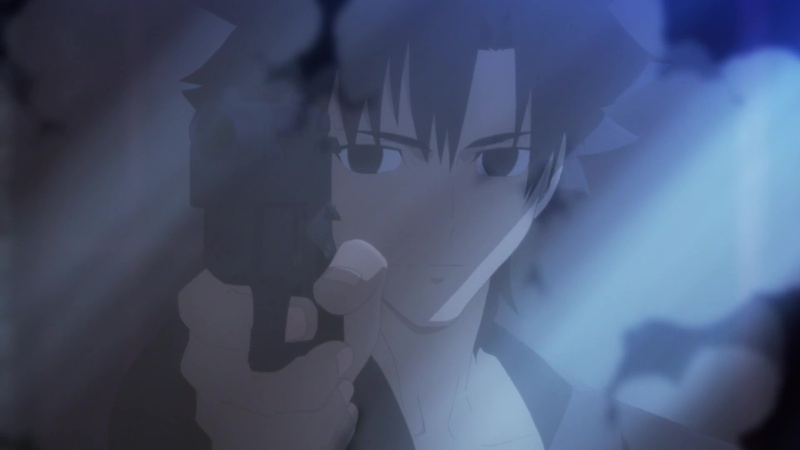 Kariya, while honestly wishing to save the poor girl, doesn’t simply do so out of the goodness of his heart. He wants to be acknowledged by his friend whom he has been in love with since childhood, even after he ran away and she married someone else. As it so happens, this someone else is also a competitor in the war Kariya is about to enter, providing him with enough unconscious motivation to trade his life for. After all, the first price of this war is an almighty magic wish-granting device. Needless to say, there are no runner-up spots. Within Kariya’s selfless sacrifice, there’s room for a lot of wonderfully selfish emotions such as envy, jealousy, lust and revenge. He embraces the possibility of gaining the power to kill his rival, even at the cost of his own death. This doesn’t make him a bad guy. It just makes him human. Caught up in the idea of himself as the martyr, not once does he stop to consider what Aoi (his friend and love who he supposedly is willing to die for) herself might want, or if she would even approve of his sacrifice. When it turns out that she is not and probably never was in love with him, that she had accepted the price of her life as a magus’ wife and never waited around for Kariya to save her, the true nature of Kariya’s motivation catches up with him. And it is a lot less pretty than selflessly dying in Aoi’s arms. I would have given my life for you. That’s the only reason I’ve been able to endure this pain. I’ve endured… everything! Don’t you dare deny it all. I won’t forgive that! Not only does his sacrifice end up being in vain, his actions actually make things worse for the people he wished to save. Aoi’s oldest daughter is left without a father to be raised by a nihilistic sociopath, forced to take care of her crippled mother whom Kariya nearly killed when she could not reciprocate his feelings. Her younger daughter (the one Kariya originally set out to save) not only remains with her torturer, but is robbed of any notion of hope after seeing Kariya fail. The fact that she only ended up in this situation because Kariya was unable to shoulder the responsibilities of being the heir to a magus family and chose to run away is the icing on the irony cake of his sacrifice. It’s deeply tragic, but far from heroic and selfless. 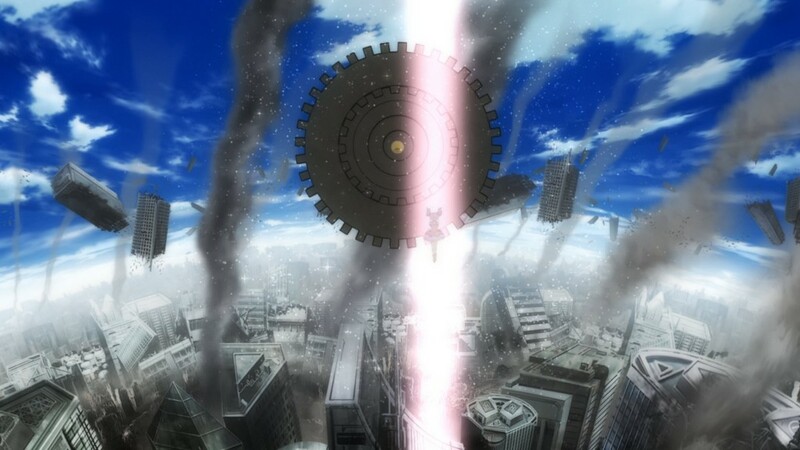 Before dedicating some time to discuss Fate/Zero‘s second character fueled by self-sacrifice, I want to take a detour to look at the sacrificially motivated characters in Puella Magi Madoka Magica. Of which there are four, piling up a mountain of sacrifices for the titular character to reap the tragic rewards. 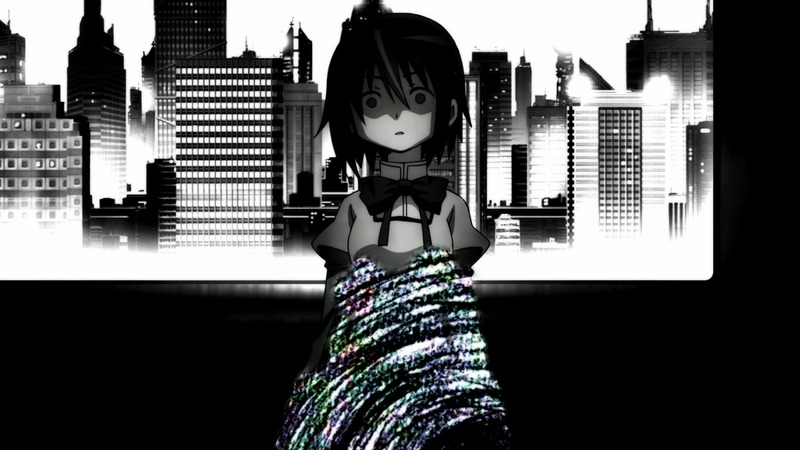 Madoka is a story about adolescent girls sacrificing themselves for the sake of utilitarianism. Of course, this isn’t part of the advertising campaign when Madoka and her friends get recruited as magical girls to fight evil witches. Instead, they get to make a wish. Sayaka-chan just wanted to save people from the witches. She just wanted to fight for what was right. 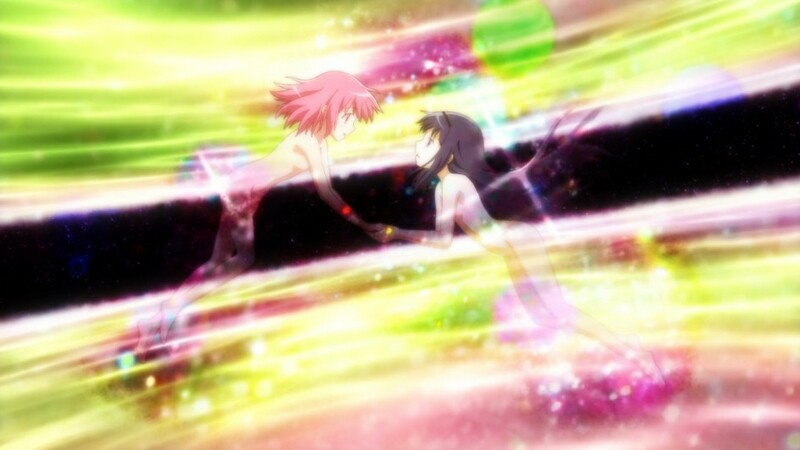 The idealistic Sayaka wishes to save the boy she has a crush on, exchanging her soul for his health and future. Except she doesn’t know this yet. When she finds out about her soulless state around the same time she discovers her crush might like someone else instead of her, her idealism and righteousness do not permit her to get in the way of her love’s happiness. Self-righteousness turns to self-loathing, because, deep down, she knows her motivations were never truly altruistic, as she always expected to be with him in exchange for her sacrifice. With this no longer possible, she sinks into a deep depression, eventually turning into one of the monsters she and her friends were recruited to fight. Sure, I managed to save a few people, but in exchange, hatred and jealousy filled my heart. What breaks her isn’t the loss of her soul or the denial of the boy’s love, but the realization of how far from the selfless hero she claimed to be she actually is. I wonder if this world is even worth fighting for. Because Sayaka is more of an idealist than Fate/Zero‘s Kariya, her hatred turns towards herself instead of outwards. Which brings us to Madoka‘s next big sacrificer, Kyoko. Like Sayaka, Kyoko made a selfless wish in exchange for becoming a magical girl. Unlike Sayaka, Kyoko abandoned selfless delusions after her wish led to the destruction of the very things she wanted to protect. 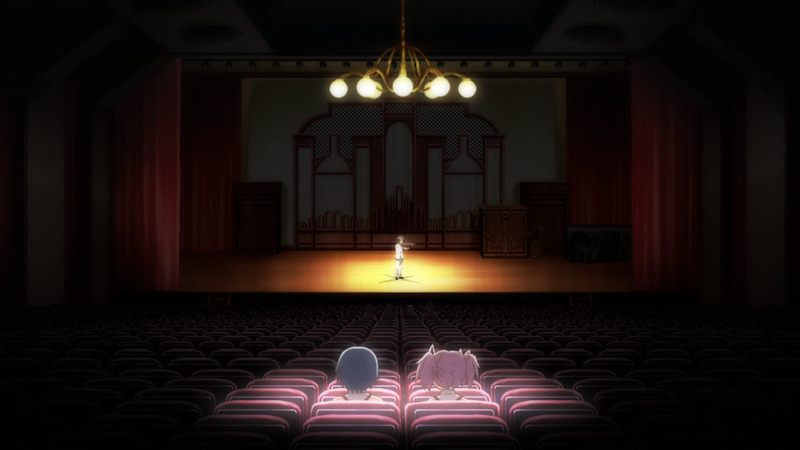 Choosing self-preservation over lofty ideals, Kyoko initially despises Sayaka whom she painfully recognizes herself in. 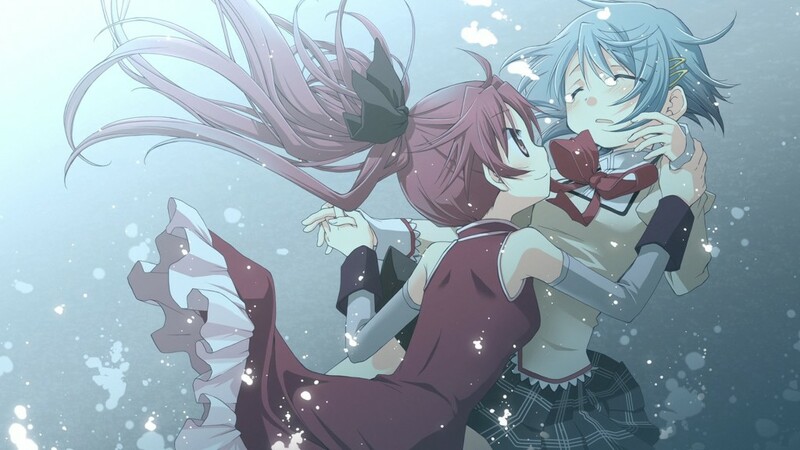 When Sayaka dies right after the two girls have finally formed a fragile friendship, Kyoko has to bring her back, ultimately sacrificing her life to free her friend from eternal suffering or at least die by her side. From a utilitarian point of view, her sacrifice is useless, selfish even. It doesn’t save anyone or make the world a better place. 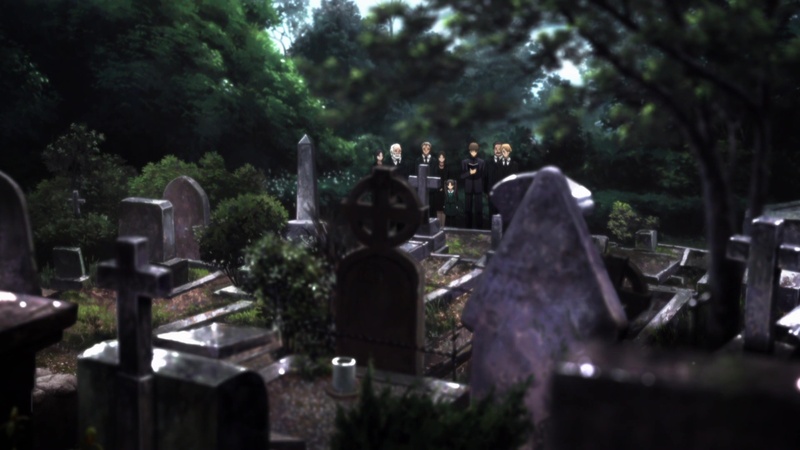 While Kyoko might die at peace, her decision has grave consequences for her remaining friends. Failing to consider their ability to face an imminent boss battle without her, it’s Kyoko’s sacrifice which causes the necessity of Madoka‘s last tragic sacrifice. In exchange for your soul, what do you wish for? 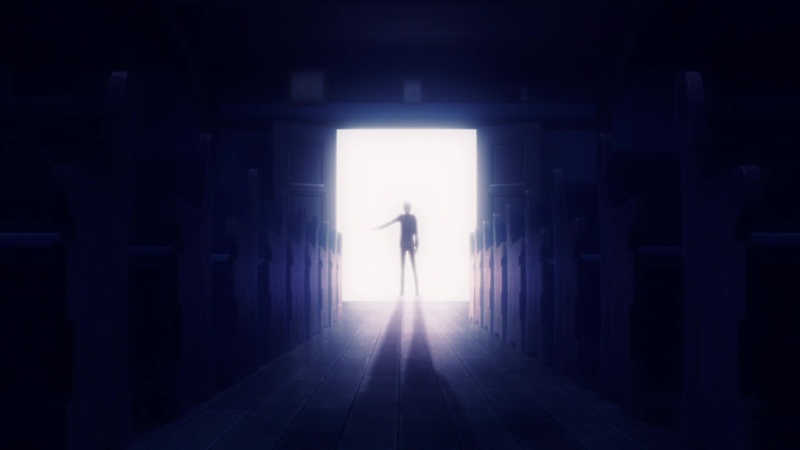 Forcing the series’ protagonist to finally give in to the Faustian pact of “your soul for a wish”, Madoka becomes an all powerful being, with the catch of deleting herself from existence in the process – a fate Homura, Madoka‘s fourth selfless character, fought relentlessly to spare her from. You’ve gathered the cause-and-effects of countless worlds. If you manifest all of those, you can probably fulfill any wish you want. To top all off, it was Homura’s wish to save her friend which enabled Madoka to become the ultimate hero at the cost of her own humanity. Paved by the well-intended, but ultimately destructive sacrifices of her friends, Madoka’s sacrifice is the truly selfless one, as no-one besides Homura will even remember that she ever lived or what she sacrificed for their sake. I will bear all the cause-and-effects. So, please! Believe in yourself! To the very end! 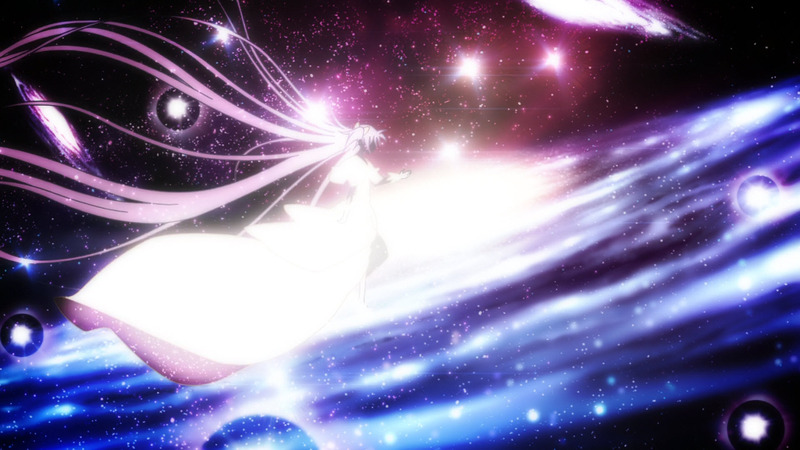 As the savior of magical girls, Madoka does not gain the power to undo their deaths. All she can do is protect them from falling into despair. There’s no reset button, no way to “make it all right”. But she can save Sayaka from having to lose her ideals. Enabling her to die at peace and finally become the selfless hero she needed to be, the story ends on a stunningly poetic note, especially for what, until then, was a pretty bleak series. Selfless sacrifices commonly lead to the death of the characters involved. But it isn’t necessarily required to give your life to put on the sacrifice shoes. Some characters choose to follow a different path. One of those people is Kiritsugu Emiya from the previously discussed Fate/Zero. Originally, he was an idealist with big dreams of becoming a hero. When his failure to sacrifice a friend leads to tragedy, young Kiritsugu turns into a cynic who curses the very idea of heroism. 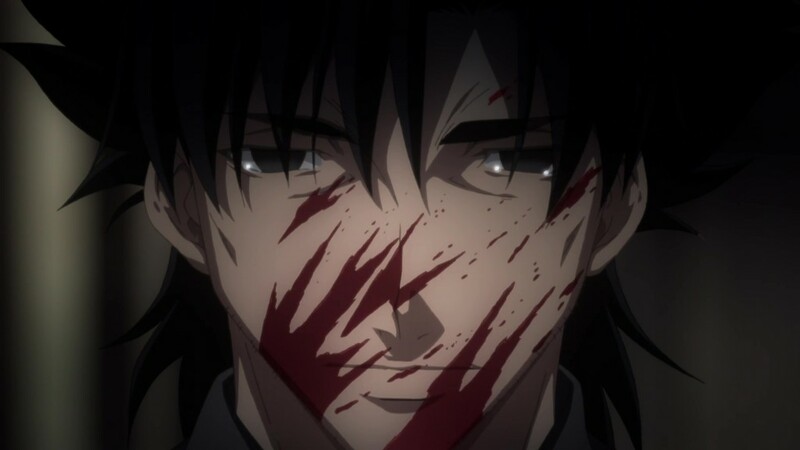 Kiritsugu’s path is a painful one, as it entails cutting off all emotions when he vows to commit sin to bring about a better world. I’ll ensure that the blood I spill in Fuyuki will be the last blood humanity will ever shed. If that means I must stain my hands with every evil in the world, I don’t care. If that will save the world, I do it gladly. Turning himself into a living, suffering sacrifice, he believes his grim choice to be a way of making amends for past tragedies and preventing future ones. 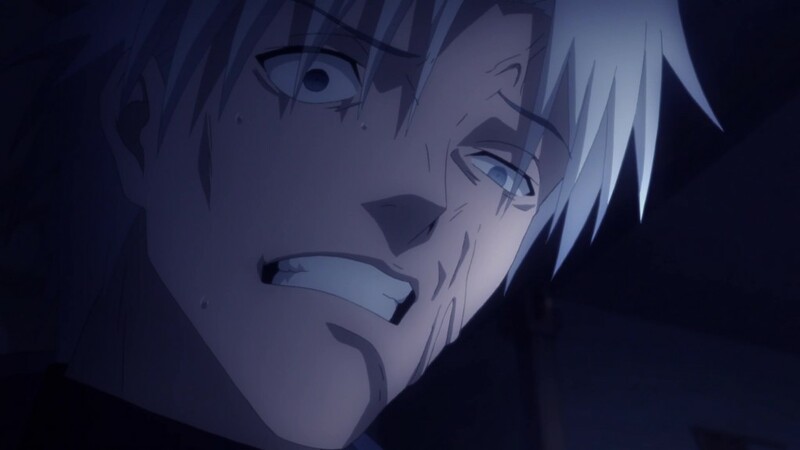 Kiritsugu is bound to fail, because he mistakes the burden of a heavy conscience for a valid way to atone. The one worthy to bear all the evils of the world. Contrary to what countless stories want to make us believe, redemption does not have to equal death. But neither does self-righteousness make us good – or happy. Justice and righteousness cannot save the world. 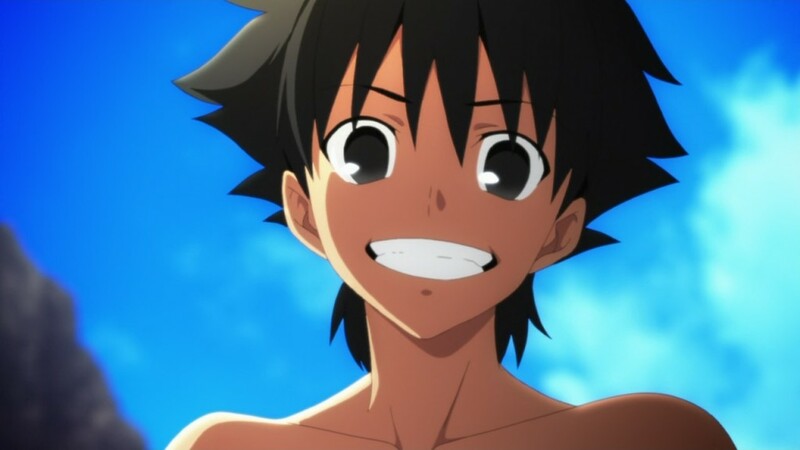 Slowly turning into something eerily similar to the thing he swore to destroy as a child, Kiritsugu’s immature adult self still dreams of being the hero. When he has far killed too many few for the sake of the many, he eventually has to realize his own hypocrisy. You have always sacrificed the few in order to save the many. Even if it meant leaving a mountain of corpses in your wake. 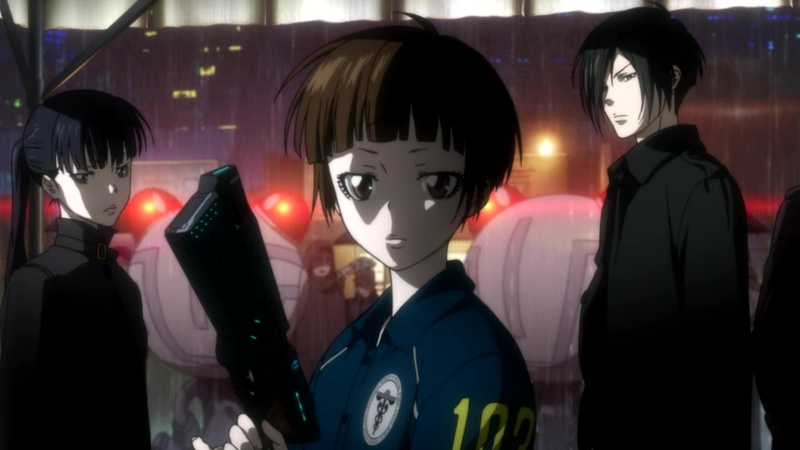 Being the hero is of no importance to Akane Tsunemori, protagonist of the dystopian cop show Psycho-Pass and another example of a selfless sacrifice in life rather than death. 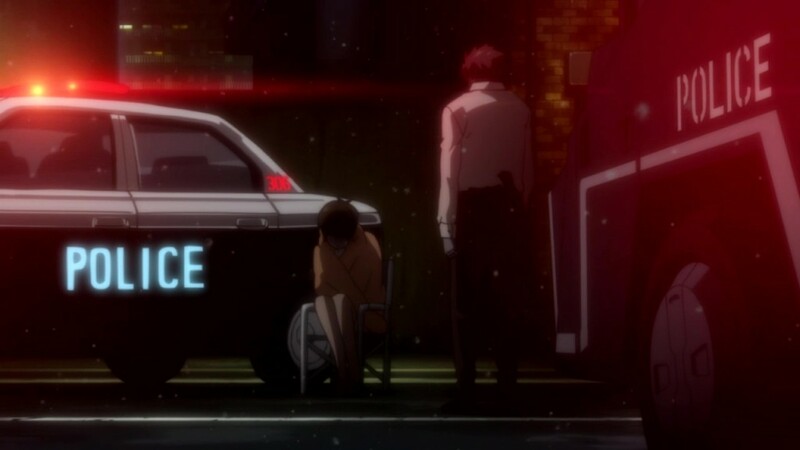 In a society where people’s fates are predetermined by an all-knowing system, Akane is uniquely gifted with the freedom of choice, among other things. When she chooses to become an inspector, it isn’t out of ill-advised heroism, but because she feels she can make a difference. I was the only one who got an A ranking for the MWPSB. So I thought that there must be some work that only I could do. If I went there, I thought I could find my real life… I thought I should be able to find out why I was born here and now! And she is right. Akane, like Kiritsugu, is an idealist, but while he has learned to despise humanity’s flawed existence, she chooses to continue believing in others. Even after seeing humanity at its worst, she eventually finds the strength to endure, not giving in to hatred and despair. If someone else tells me that having hope is a mistake, I will reject that statement every time. Akane’s talent to cope with the darkness might be genetic, but it is her refusal to break and give up on humanity which makes her a hero. When she accepts being turned into a conspirator by a system in violation of everything she believes in, she can do so because she believes in other people’s abilities to endure. Truly willing to bear the evil of the world she lives in for the sake of others, she accomplishes what Kiritsugu, with all his sacrifices, was ultimately incapable of. You’re not actually fulfilling your wish. You are becoming hope itself. Becoming the hope of all of us. Selfless sacrifices can be epic and glorious. But it’s not always the loudest or most obvious one that makes the best story or bears the biggest sacrifice. Akane’s sacrifice, like Madoka’s, is a quiet one. Its power lies in what she chooses not to do: Denying humanity the chance to reform itself instead of being “saved”. You shouldn’t underestimate humans. We’re always aiming for a better society. Someone will come to this room some day to turn off the power. We will find a new path for sure. It’s an empowering testament to our potential and resilience which surpasses many a self-appointed savior and cheesily written martyr. Giving your character something worth dying for is easy. Finding something to live for after experiencing the traumas of guilt and loss is much more difficult. Though this world is filled with repeated sorrow and hatred and isn’t worth saving, it’s still a place that she wanted to protect. In the end, the hardest thing in this world is to live in it. Was brought here via Otaku Link. Must say, I am glad I came. Excellent point of view “But neither does self-righteousness make us good – or happy.” Great stuff! Thank you, I’m glad you got something out of my ramblings.